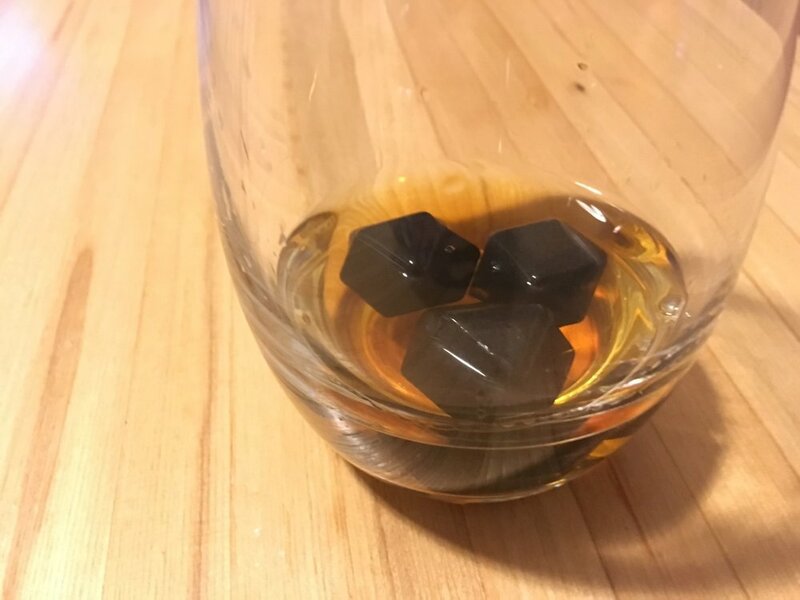 People often talk about whisky stones - items that cool your whisky without diluting it - which is a good idea if you like savouring cold whisky. In the summer I really don't mind a cheaper bourbon or sweet Canadian - over ice, with the right whisky, it is about a perfect summer cocktail - a well chosen whisky and ice. Or, stones...it lets you savor the whisky longer without having to worry about dilution - though I advise pre-chilling the whisky as any type of stones generally don't have the heat capacity to keep your whisky ice cold for long. But, with a pre-chilled whisky, it lets you savor your cold whisky longer. However, I tend to sip very few whiskies over ice, because of how I drink them. If I want something cold in the summer, I go for beer or a cocktail. A few, like Weller Special Reserve, work very well over ice in the summer. So what do I do with stones? Cocktails. There are countless cocktails which you shake or stir with ice and then stir into a chilled glass. There's no ice in these because you don't want dilution, but the problem is these warm up which means bitterness, sweetness, etc. come out of balance. So I, as a cocktail lover, am left in a dilemma - do I enjoy the cocktail quickly, or slowly and let it warm up and change, often for the worse? Usually, I side with a completely different option - add whisky stones. This solves all the problems, and leaves me with a glass full of good tasting liquid and nice looking stones. So here's where I use my stones. If you like whisky on ice, or cold cocktails - the Canadian Morgan St. Co has launched a new set of stones - with some nice hand cut raw stones which look and feel nice in a glass. Feel free to check them out.